This book is the outcome of a prolonged period of discovery and research into the Bronze Age rock carvings of Bohuslan (Sweden) and Ustfold (Norway). Over 100 of the most complex and varied sites, containing many thousands of images, are presented in new plans and photographs. The variety and precision of the methods of recording have revealed hitherto unknown carvings and new details on many of the sites, including some of the best-known sites in all of Sweden and Norway. The images, of boats, humans, wheeled vehicles, wild and domesticated animals, ards, weapons and other symbols demonstrate great variability. A structural analysis permits some identification of particular artists, whilst the identification of dated styles of boat images allows some element of specific chronology to be presented. Over 800 rock carving sites, and their contemporary monuments, are mapped and described in terms of the evolving landscapes of the period 1500 - 300 BC. The current excavation programmes at the base of sites are outlined as well as the likely relationship between rock carvings and adjacent wetlands. 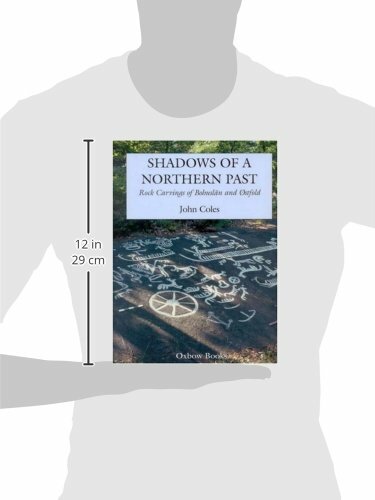 The area explored in the book includes the World Heritage region in western Sweden and the whole territory of rock carvings examined forms one of Europe's greatest prehistoric cultural treasures.